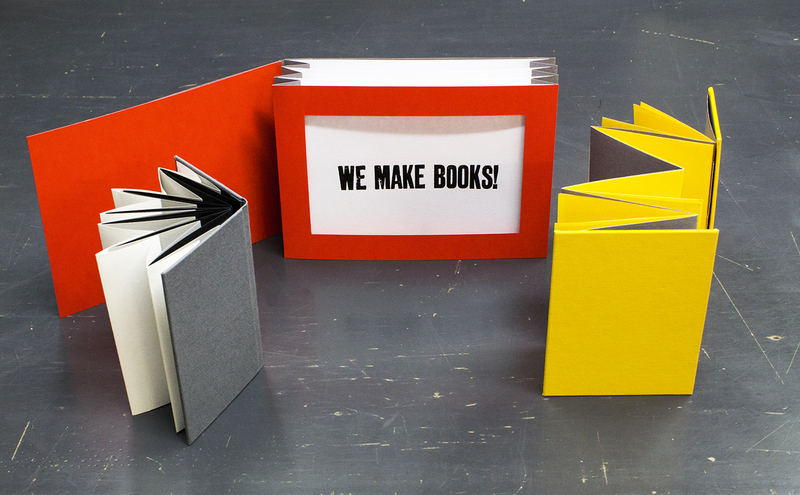 Experimental Bookbinding Workshop – WE MAKE BOOKS! In this exciting new workshop we will be looking at a range of non-traditional book structures: the Star Book, the Tunnel Book and an Accordion Book with sewn sections. Participants will explore the binding process as a visual language and how to experiment with structure and form. The emphasis in this workshop is on experimentation and creativity and you will leave with 3 unique handmade books! All materials and tools will be provided and no previous experience is required. The workshop will be delivered by Lina Avramidou and Manuel Mazzotti both professional book artists and designer bookbinders.